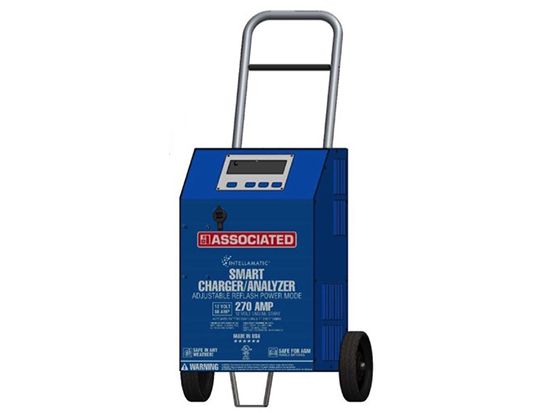 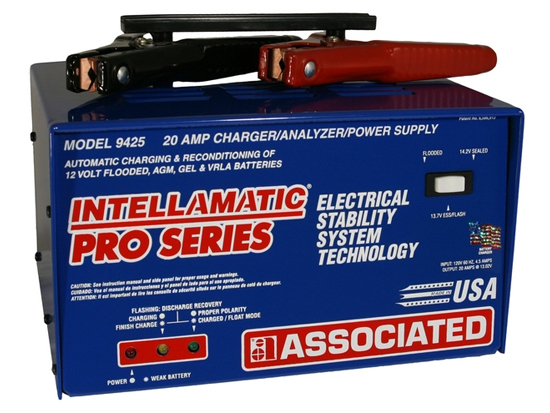 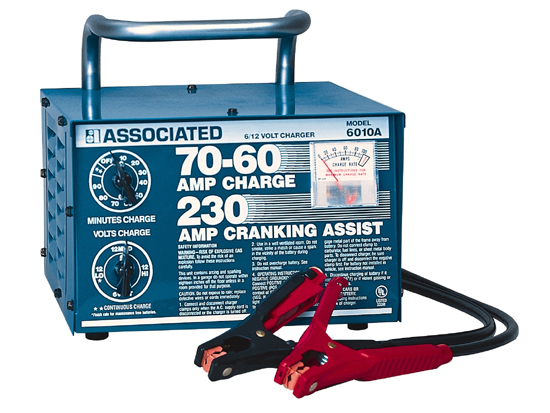 12 Volt 20 Peak Amp Intellamatic Bench Charger for all battery types including AGM, Gel-Cell, Valve Regulated, and Flooded. 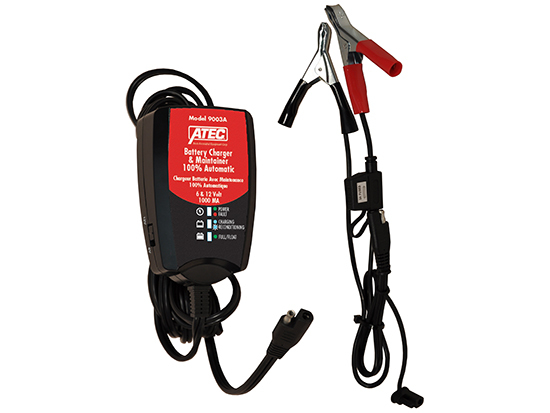 Also has ESS Electrical System Stabilization. 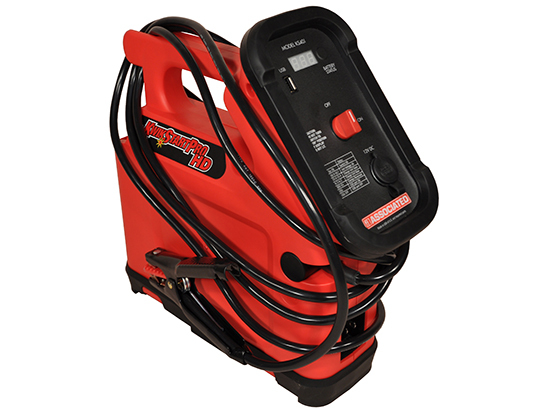 Holds battery at 13.7V During extended service procedures such as drivibility diagnostics or Vehicle Re-Flash.